A high-level meeting of 17 States from the Western Indian Ocean, Gulf of Aden and Red Sea areas, convened by IMO in Djibouti to help address the problem of piracy and armed robbery against ships off the coast of Somalia and in the Gulf of Aden, has adopted a Code of Conduct concerning the Repression of Piracy and Armed Robbery against Ships in the Western Indian Ocean and the Gulf of Aden (the Code of Conduct). The meeting, which was opened on 26 January 2009 by IMO Secretary-General Efthimios E. Mitropoulos and the Prime Minister of Djibouti, H.E. Mr. Dileita Mohamed Dileita (see IMO Briefing 02/2009), was attended by Ministers, Ambassadors, senior officials and legal experts from Comoros, Djibouti, Egypt, Ethiopia, France, Jordan, Kenya, Madagascar, Maldives, Oman, Saudi Arabia, Seychelles, Somalia, South Africa, Sudan, the United Republic of Tanzania and Yemen, as well as observers from other IMO Member States; United Nations specialized agencies and bodies; and international and regional inter-governmental and non-governmental organizations. In Cornwall there are 14 RNLI lifeboat stations, housing 21 lifeboats. Last year they launched to 429 emergencies (425 in 2007) and rescued 437 people (344 in 2007). 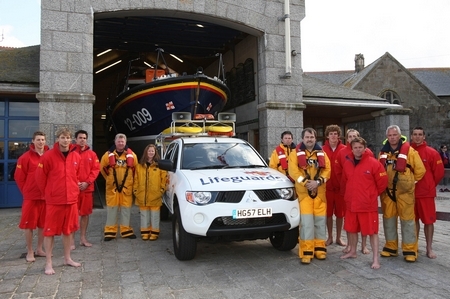 The volunteer crews in Cornwall spent 632 hours at sea on emergency call outs alone. In Devon there are 9 RNLI lifeboat stations, housing 15 lifeboats. Last year they launched to 559 emergencies (543 in 2007) and rescued 491 people (518 in 2007). The volunteer in Devon spent 729 hours at sea on emergency call outs. In Dorset there are 5 RNLI lifeboat stations, housing 8 lifeboats. Last year they launched to 385 emergencies (371 in 2007) and rescued 499 epople (401 in 2007). The volunteer crews of Dorset spent 521 hours at sea on emergency call outs. In Somerset there are 3 RNLI lifeboat stations, housing 6 lifeboats. Last year they launched to 91 emergencies (96 in 2007) and rescued 40 people (63 in 2007). The volunteer crews of Somerset spent 117 hours at sea on emergency call outs. 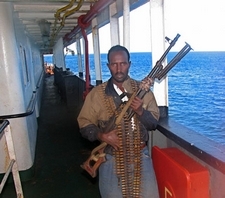 A high-level meeting in Djibouti has been convened by IMO to help address the problem of piracy and armed robbery against ships off the coast of Somalia and in the Gulf of Aden. The meeting, which was opened yesterday (26 January 2009) by IMO Secretary-General Efthimios E. Mitropoulos and the Prime Minister of Djibouti, Mr. Dileita Mohamed Dileita, is expected to conclude and adopt, pursuant to a request made by the IMO Assembly in its resolution 1002 of 2007, a regional agreement to assist countries in the region to build capacity to suppress piracy and armed robbery against ships in the Western Indian Ocean and the Gulf of Aden. Scottish Prime Minister, unelected, Gordon “Bottler” Brown has reneged on a Manifesto pledge to give the British people a vote on the controversial European Constitution that was rejected by the people of France, the Netherlands and Ireland when they were given referenda. The Eurocrats then re-titled the European Constitution as the Treaty of Lisbon to ignore the verdicts of the people of France, and the Netherlands. The people of Ireland voted on the re-titled Constitution and voted conclusively against. Opinion polls throughout Europe show that the overwhelming majority of citizens reject the European Constitution/Treaty of Lisbon. The Eurocrats are attempting to force the people of Ireland to vote again and keep voting until they say YES. “Bottler” is typical of the Eurocracy, a career politician, snout-in-trough, with a major charisma deficit, and a very low regard for the people he regards as drones who pay taxes. However, the people of Europe do have an opportunity to vote in June in the European Parliamentary elections. For those who object to being railroaded into a United States of Europe, and have a party opposed to full integration and a European Constitution with all of the extra taxes this promises, the answer is to vote for that freedom party. 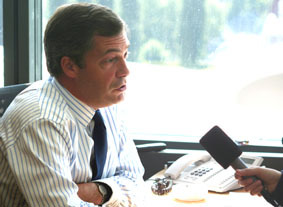 UKIP leader Nigel Farage MEP will be appearing in the Politics Show on Sunday 25 January, on BBC 1 at 12 noon. A filmed profile of Nigel and UKIP will include the leader’s views on a wide range of subjects, including the European elections in June. Any new political party in any country faces a hard battle to become established and demonstrate an ability to govern. The European Parliament provides a unique opportunity. Its real purpose is to provide a facad of democracy for the Eurocrats who are the real rulers of Europe. Therefore, voting for a young party carries none of the risks associated with voting in a national election because the European Parliament has no effective power directly. A large block of Independence Party MEPs does serve warning on both the Eurocrats and the political elite in national Parliaments that the people of Europe have many serious concerns about the direction they are being forced in. 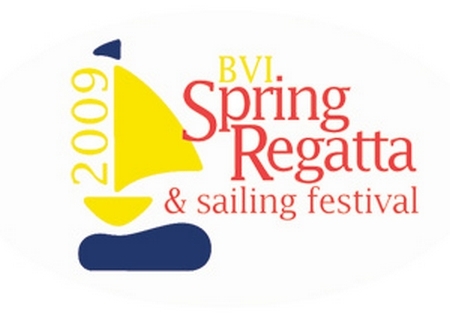 Tortola, January 20, 2009: With the economy being in the toilet and race enthusiasts wanting to compete as much as possible, the BVI Spring Regatta organizing committee expects that Caribbean wide sailors are going to be looking for welcoming venues. BVI Spring Regatta has always looked for ways to be inclusive rather than exclusive and this year beach cat sailors should take note because all night security for beach cats has been added. The larger the bureacracy, the more it wants to draft detailed and insane legislation. Nigel Farage, Leader, UK Independence Party has issued a call to arms for anglers who are being targeted by Brussels. This is an issue, similar to referenda on the European Constittion, AKA The Lisbon Treaty, which should transcend Party political lines in each European country. With the European elections due shortly, this is an opportunity for European voters to vote for parties that address these issues to signal opposition to Brussels, not that the Eurocrats will take any notice of news they don’t want to hear, and to signal discontent to national political parties who ignor discontent at their peril. SEATTLE, Jan. 20, 2009 — The Boeing Company’s [NYSE: BA] Washington-based employees provided holiday gifts for thousands of people in need during the company’s Spirit of the Holidays drive, held in November and December 2008. During the charitable drive, Boeing works with community partners who screen and select clients requesting assistance. Aware of the growing community hardship in Washington state, Boeing employees bestowed holiday gifts for 736 underprivileged families, 910 seniors and 3,012 foster children. Having boasted of saving the world only a few weeks ago, “Bottler” Brown has been forced to attempt a second bail out of British banks. Sadly, this latest attempt to hose the problem with taxpayers’ money has hit the wall as the investors and banks firmly give the latest attempt to stop the slide the thumbs down. Ever since the problems began to surface more than six years ago, the British Government has firmly ignored them in the hope that they will go away. Then, as the problems could no longer be hidden, the Government has dithered before taking faltering actions that have been shown to be too little, too late. On paper, the latest action takes the taxpayer exposure to ONE TRILLION POUNDS GB but that is not the full potential exposure. In effect, a blank cheque has just been offered to British banks. Sterling has suffered massive devaluation but even an immediate export boost, which normally follows a devaluation, has not been seen – quite the reverse, as exports continue to fall and imports hold steady or rise, increasing the massive trade gap. Against this reality, Brown’s Ministers continue to try to convince Britons that everything is fine and that green shoots of recovery can be seen, with the housing market about to rise rapidly. Unfortunately these claims are not matched by real world economics. 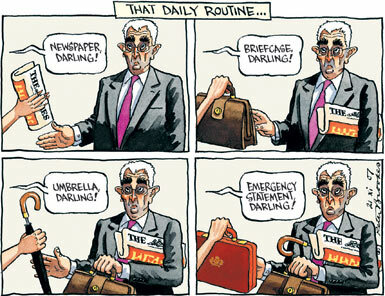 Part of the British problem is that the Government is in a state of denial. Until it starts to admit the scale of the problem that the world can see, there is little hope that any of the floundering attempts to deal with the situation will produce any real positive effect. When things are looking difficult economically, governments traditionally try to put a positive spin on the situation, partly to avoid talking their economies down. We have long since passed the point where that was a justifiable approach. The world knows that there is now a huge problem and that some economies, such as Britain’s, face an even more severe challenge than others. The dramatic fall of Sterling demonstrates that the world sees the problems in Britain and does not like the way the British Government is addressing them. “Bottler” Brown seems to have ignored the sage advice that, ‘when in a hole the best option is to stop digging’. “It is with regret that due to the current economic trading conditions, Reed Exhibitions has decided not to run Business Continuity Expo 2009. Reed Exhibitions will review in the light of market conditions whether to hold the event from 2010 onwards. Our sincere thanks go to all partners, customers and media who have supported the event over the last two years. If you have any queries at all, please do not hesitate to contact Tamar Beck, Group Event Director, tel: +44 (0)20 8910 7884”. Ironic that one of the first British exhibitions to cancel should be one addressing business continuity. Exhibitions across the spectrum of business and leisure that have opened during the last six months have faced reduced take up of stand space, reduced stand sizes and reduced attendence figures. “Bottler” Brown, Scottish prime Minister unelected, and his glove puppet “Dobbin” Darling are announcing a further massive round of donations to the banking industry. The first round failed to work. Heartened by this signal failure, the undynamic duo see a new opportunity to commit Brits to massive borrowing to prop up the banks. The first round saw money being diverted to pay yet more bonuses to banking bosses and workers in reward for their failures. This new round of taxpayer funding will be greedily seized by the banks, who will then come back for more. In a free economy, commercial entities have the freedom to make decisions. If those decisions are wrong the companies go bust and new companies emerge that make better decisions. In the Blair Brown Regime command economy that is following on from twelve years of Government irresponsibility, failure is rewarded lavishly, particularly if unrewarded failure is likely to threaten votes. Thus far, “Bottler” and his henchmen have been able to borrow huge sums in the name of Britons, saddling future generations with massive debt that will take years to repay. However, we are coming very close to the point where lenders will not even lend to the British Government because they fear a default. That’s the point where the Bank of England presses roll, printing bank notes. “Bottler” has obviously been closely following the example of fellow national socialists in Zimbabwe who have been printing ever larger banknotes and will soon be printing 100 trillion dollar notes that could be briefly worth as much as £20 in the heavily devalued British currency. Meanwhile, Treasury Minister Shriti “The Shriek” Vadera is apparently seeing green shoots, or maybe just smoking them. Then there’s English Prime Minister unelected, Lord Gravy of Train (formerly, twice disgraced Blair Brown Regime Minister Peter Mandelson), who sees testing times ahead but does not consider British industry worthy of the generous emergency funding being thrown at the banks. Strange world, British banks have lost billions of pounds through bad loans to Russian billionaires and US mortgage lenders, which the British tax payer is now expected to bail out, and yet British workers who are affected by the mess created by British Government policies and bad bank lending by British banks are considered unworthy of any help. The danger is that every country is looking to its own interests in the same way that they did in 1931. That means far worse is yet to come and Britain, counter to claims by “Bottler” is worst placed to deal with the deflation of a Great Depression, which is why the pound continues to fall against even the weakest currencies.